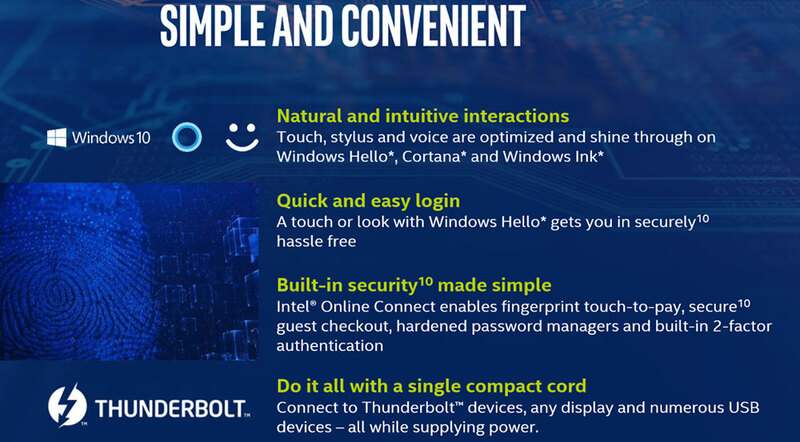 Intel is ready to launch their 8th generation processors and are starting by releases a handful of ultra-low voltage 15 Watt TDP U-series processors today. 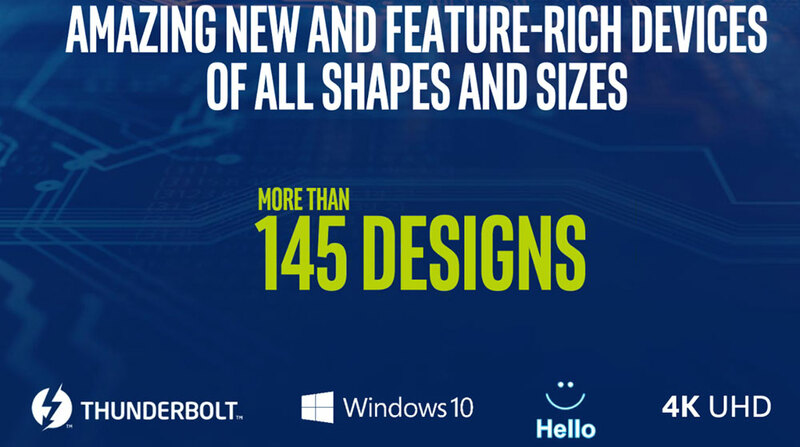 These processors are targeted to laptops, 2-in-1 convertibles or any small form factor that needs a powerful performance with a low thermal envelope. What makes these processors a little confusing is the fact that these are based on a refresh of the Kaby Lake architecture and are what Intel is calling ‘Kaby Lake Refresh’. 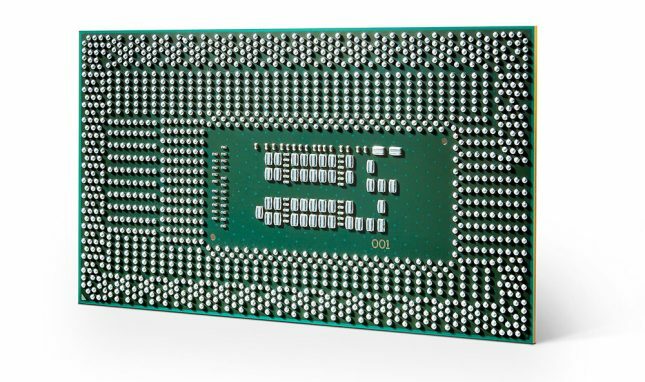 These are not the ‘coffee lake’ or ‘cannon lake’ processors that so many desktop users have been waiting for. Those will be coming out later this fall and the exact date has not been revealed yet. Yes, Intel will be having Kaby Lake Refresh, Coffee Lake and Cannon Lake processors making up the 8th Gen processors series. That will a fun thing to keep straight in the months and years ahead! 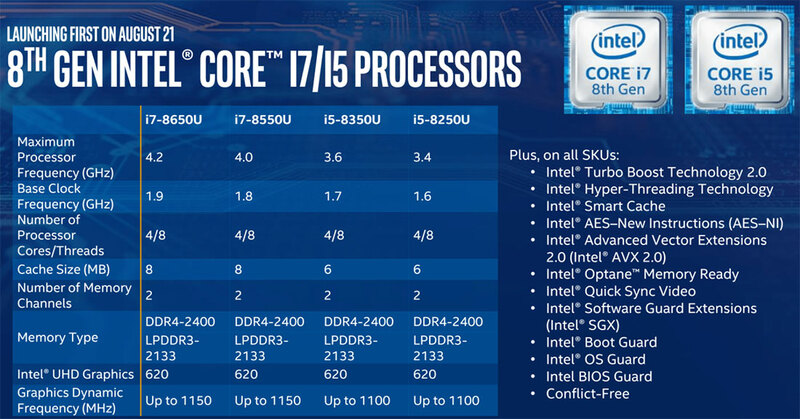 The first 8th Gen Intel Core i5 and Core i7 parts parts that were launched today are in the U-series. 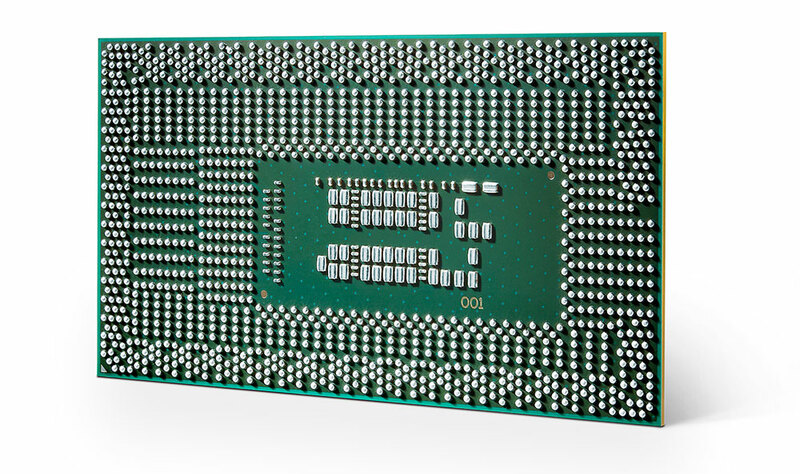 All are quad-core processors with Intel HyperThreading technology for a total of 8 threads. 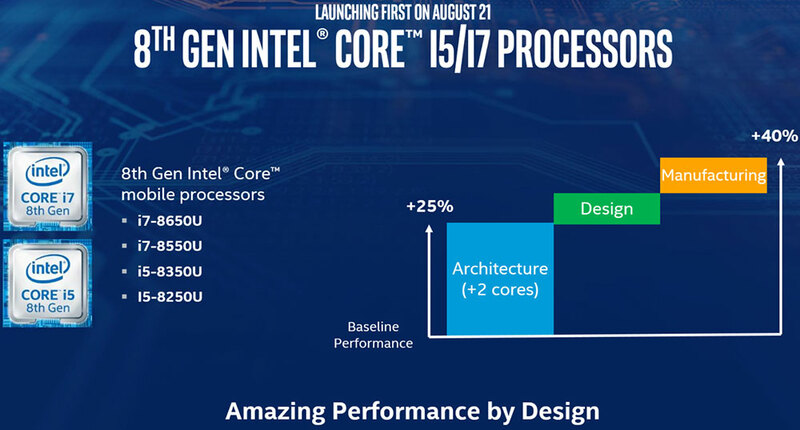 This is a big deal as before all U-series processors were dual-core parts with HyperThreading, so Intel is basically doubling the core count here. All can officially handle DDR4-2400 or LPDDR3-2133 MHz dual-channel memory, but lack support of LPDDR4. The cache sizes are 6MB on the core i5 series and 8MB on the core i7 series. 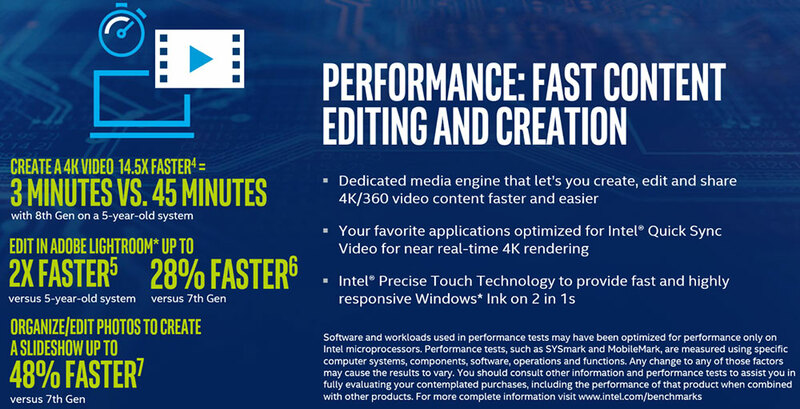 Clock speeds vary per chip and all of them feature Intel UHD Graphics 620, but the Core i7 CPUs get a 50MHz performance bump on the graphics side of things. The flagship processor for this series will be the Core i7 8650U with a 1.9GHz base clock and a 4.2GHz boost clock. All of these processors use the 14nm FiNFET. manufacturing process, but should be 15% more power efficient thanks to optimizations. 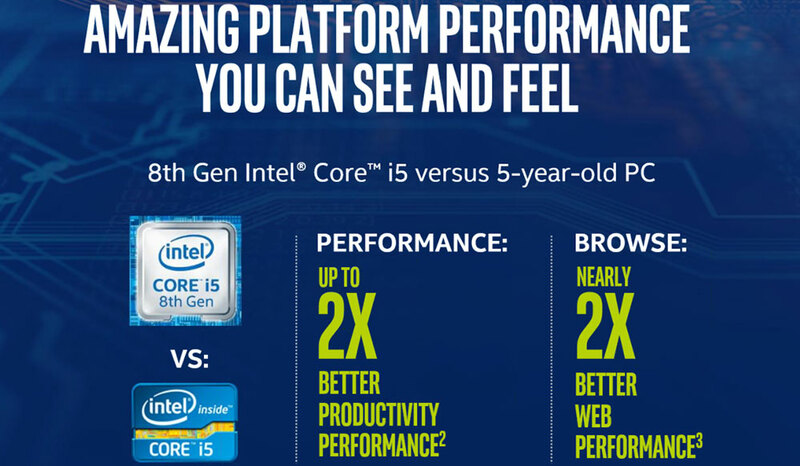 Despite the U-series launching today, Intel isn’t dropping a bunch of raw performance numbers on our lap to look at. They are only suggesting that we’ll see up to 40 percent more performance in benchmarks like SYSmark and MobileMark compared to 7th generation Kaby Lake processors. They then went on to explain how the new Kaby Lake Refresh parts made a good case to upgrade a five year old PC. 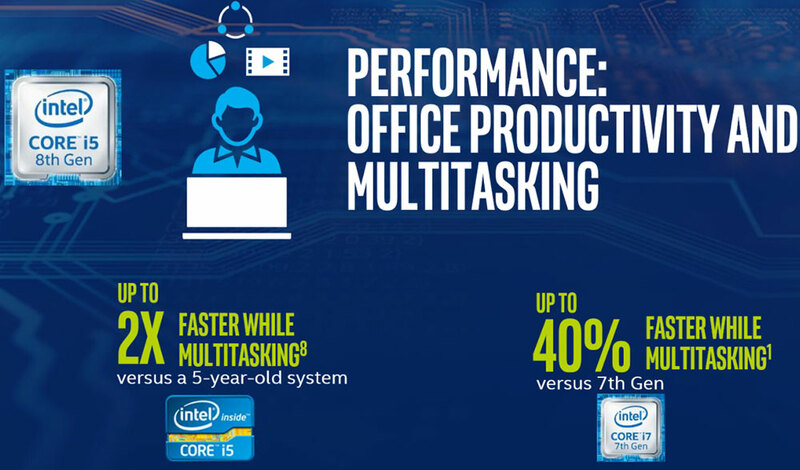 If you happen to have a 5-year old laptop that is still kicking moving to a new 8th generation Core i5 processor will give you up to twice the productivity performance and up to nearly two times the web performance compared to Intel Core i5 processors from five years ago. You can look through the performance slide deck above as we posted up nine slides for you to look through. 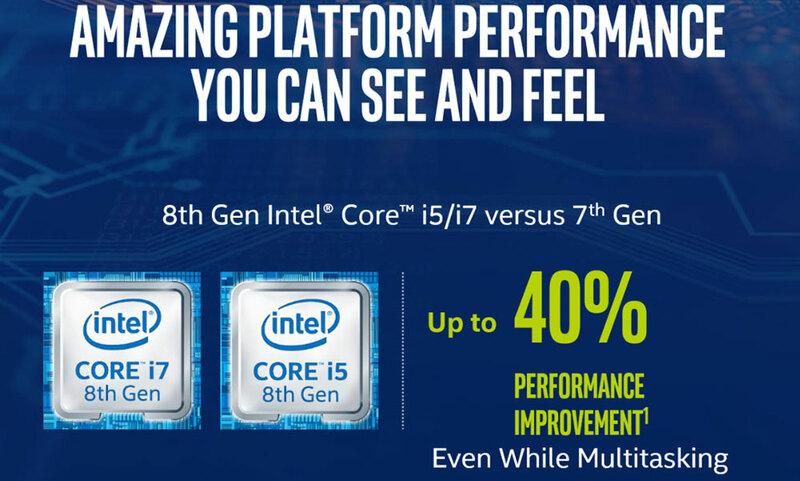 These might not be the processors you’ve been waiting for, but the 15-Watt Kaby Lake Refresh processors in the new U-series represent a huge improvement for the laptop market. Being able to add extra cores while keeping the TDP exactly the same is a massive win for all PC users and is exciting! On that note, we will end by reminding our readers that Coffee Lake 14nm desktop processors will be hitting the consumer market later this year and then we will likely have the 10nm refresh of those processors coming in 2018 under the name Cannonlake. 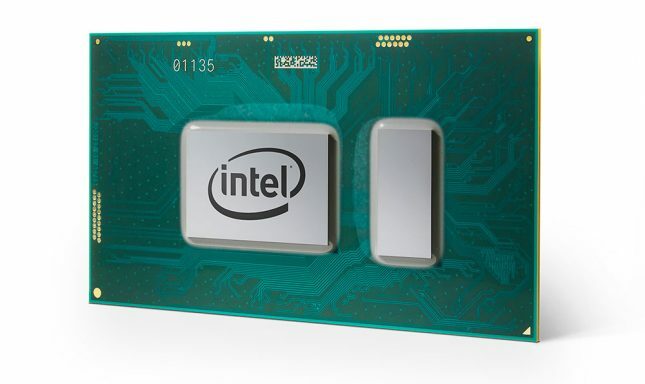 Intel has published images of the retail boxed Coffee Lake desktop processors and it shows you’ll need a new 300-series based chipset to run it. This is going to be a really fun time period and we are just entering it!